We recently got a survey question that went like this: “How can you best keep a project on track? Especially in terms of revisions and all the little things that seem to popup.” This is a really great question because no matter how much experience you have or what type of design project you’re working on, you’re still at risk of the project going off track. While you can be incredibly strict and tough during your projects together, no one will enjoy that. 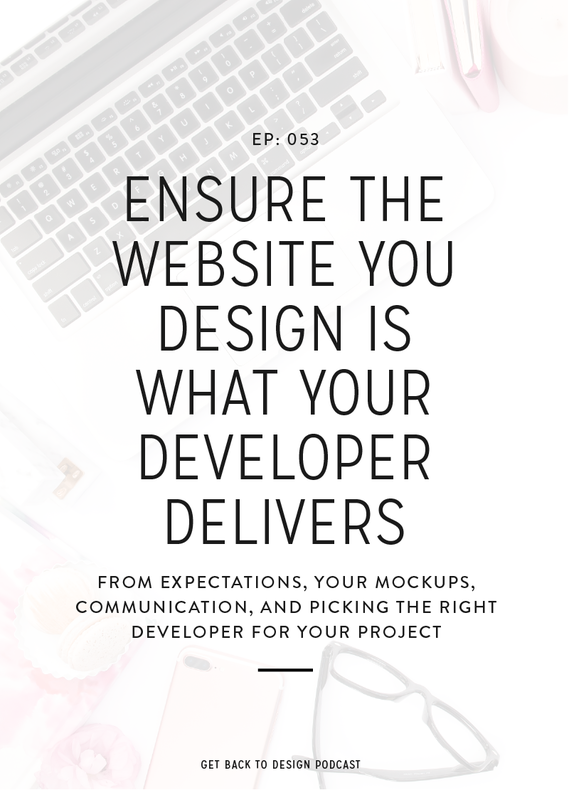 Instead, keeping your projects on track really boils down to you being prepared for any outcome and making sure you set the right expectations from the beginning of the project. 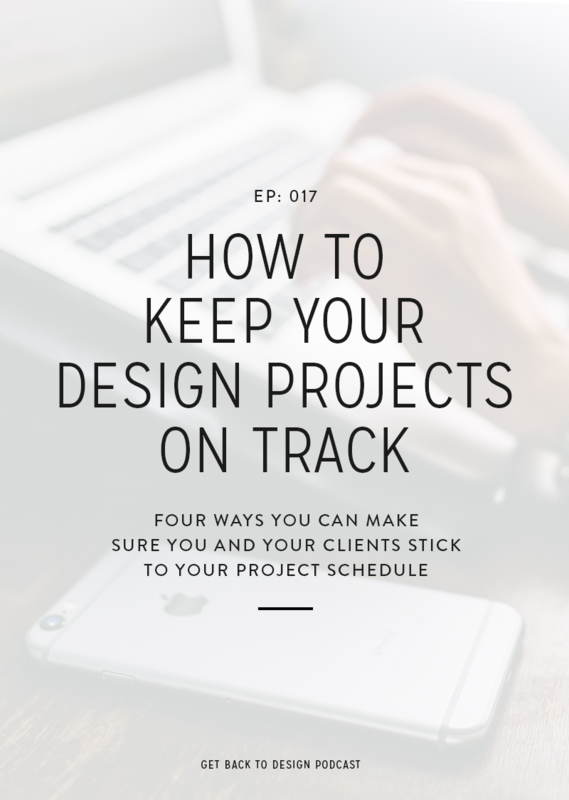 In this week’s episode we’re covering four specific things you should make sure you’re doing to help keep future projects on track. It’s incredibly important for the success of the project to make sure that you’re setting the right expectations from before you even book the project. Of course there are many things that you want to be straight forward about so your project goes smoothly, but here are three specifically that can help keep the project moving smoothly. 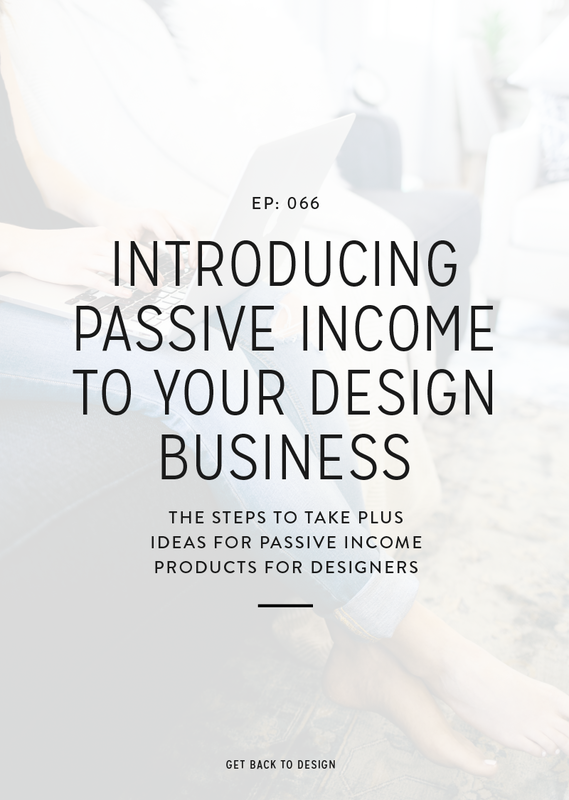 If your client has never worked with a designer before, then it’s not crazy to think that they don’t know how often to expect to be involved during the project. This means they may go MIA in the middle of the project because they didn’t realize you needed them to be available to provide feedback. Sometimes it’s the revision stage that holds the project up, and it might happen if you don’t have a specific limit to how many changes you’ll provide for your client. Instead, put a cap on how many revisions you offer during your project. Let them know what happens if they need to go over the allowed number, including what it’ll do to the timeline. Also, don’t hesitate to jump on a call if you feel like you client is just being wishy-washy. Extra work popping up out of nowhere can also be a headache when you’re trying to keep things moving on track. However, keep in mind that your clients don’t know your schedule and often don’t understand how long certain things may take you. This means that they’re not intentionally trying to alter your schedule. Let them know up front what will happen if they want to add more work in terms of the cost and their deadline. All of these things should not only be in your contract but also your Welcome packet. This will give you multiple reference points in case something goes wrong during the project. If you’re a new designer, I highly recommend adding a week or two to your timeline. 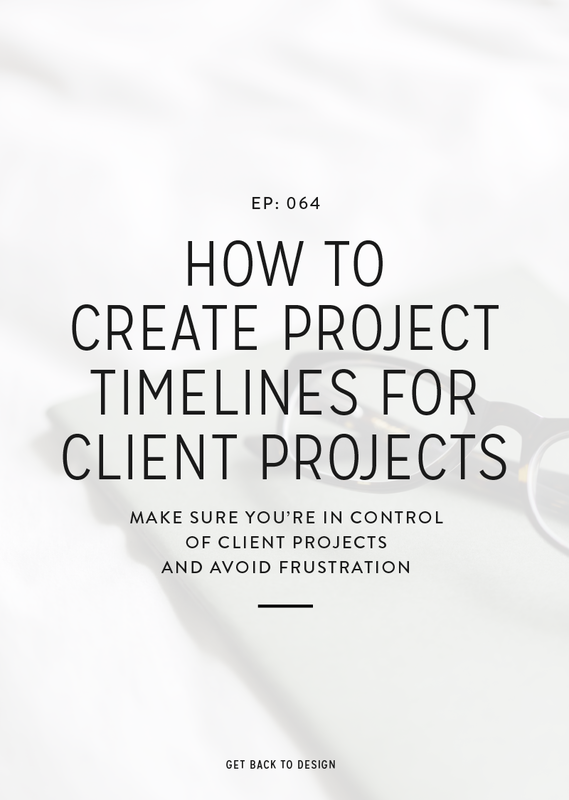 I say this because those without much experience are still trying to nail down how long it’ll take them to work with clients, so instead of saying you could squeeze a project into a smaller timeframe, give yourself room in case something goes wrong. If nothing else, it’s still a good idea to have a buffer period in between projects. 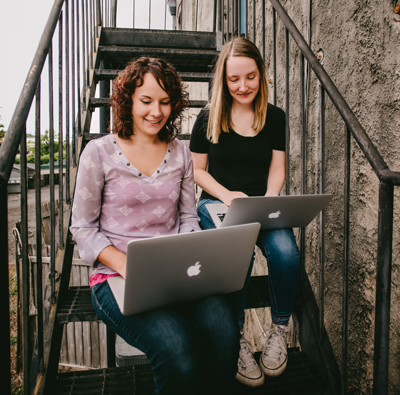 Krista shared a little bit in this episode about her experience of not having a buffer, which includes a lot of frustration and hurrying along at the end of the project. 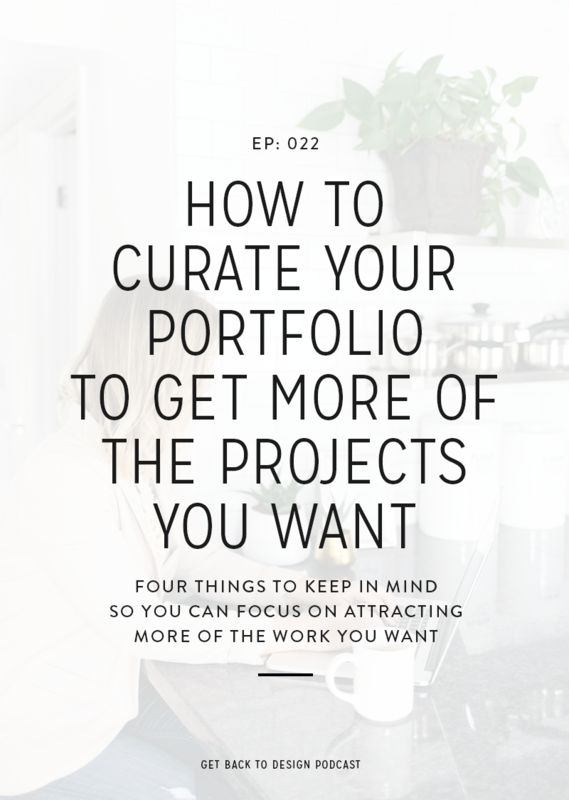 Aside from avoiding these things, it’ll also help you in case your projects do go off track, you won’t have to worry about having overlapping projects until you wrap one up. We’ve talked a little about this in other episodes, but it’s even more important to use a project management app if your projects consistently go over. This will allow you to set deadlines that your PMA will then automatically remind your client about, which means you won’t have to worry about being annoying trying to get feedback from your client. Using a project management app is also great because it’ll allow your potential clients to see the project as a whole even from the beginning. This shows your client exactly what you’re working on when and when they will be needed to provide feedback and sign off on certain parts of the project. At the end of the day, if you see the project is starting to go off track, then you have to be willing to reach out to them. Sometimes they aren’t responding because they have a question they aren’t asking but other times it could be because something big is going on in their personal lives. Because of this, you can’t be worried about being too annoyed or feeling uncomfortable to send that follow up email. You definitely want to include notes about this in your contract so you’re covered just in case you do need to cancel the project. It’s also good to mention this when you’re following up. You don’t have to be aggressive about it, but let them know that after a certain amount of time you’ll need to cancel the project so you both can move on.